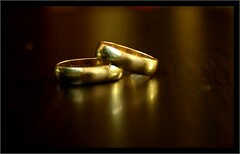 I’ve also posted on five tips for staying monogamous. But this morning I had another epiphany about what makes for a successful long-term partnership: set up an appropriate division of labor. b. I couldn’t locate a tool bar for a new social networking program I’d just set up on my computer. It’s not that I couldn’t have tried to fix either of these problems on my own. I’m not a technophobe. As an avid blogger, Facebook friend and now Twitter-er, I’m all about technology these days. Which is where my husband comes in. One of the (many!) reasons I’m glad that I married him is that he is (a.) technologically astute (b.) very helpful and, crucially (c.) incredibly patient. So when my joint technological dilemmas presented themselves this morning, he immediately came upstairs and had them both under control in a matter of minutes. All of which is to say that in our marital division of labor, my husband is the technological advisor. But lest you think that this is an entirely one-sided arrangement, let me assure you that I also pull my weight in this relationship. I’m in charge of anything time-sensitive. So, for example, I recently got an email from an old friend who’d (apparently) been trying to get in touch with us for several weeks. She’d initially emailed my husband to ask if we were free for dinner one night in November when she’d be passing through London. When he didn’t respond, she emailed him again to be sure he’d gotten the first query. My first reaction was: why didn’t she email me first? Doesn’t she *know* that I’m the Chief Scheduler? Apparently not. But my husband does. Which is why – once he actually got to the second email – he immediately forwarded it to me. So now I’m curious…what’s your division of labor? In case you’re interested, here’s yesterday’s post on PoliticsDaily.com about Five Things We Learned At The European Summit. 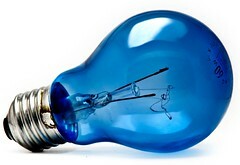 Image: Blue Lightbulb by Curious_Zed via Flickr under a Creative Commons License.